Founded in France, Pylones likes to make twists on everyday objects. But for the life of me, I’m not sure what this former petal shaped object could have been. Anyone care to fill me in? 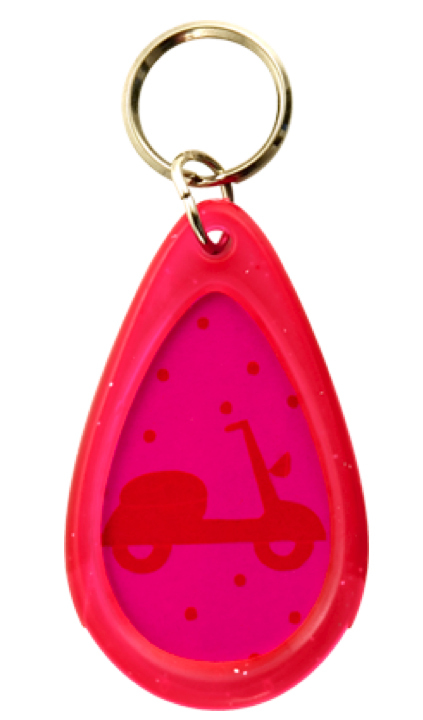 These keychains are just $1.50 each so would make great rally bag stuffers. Thanks to Kyle P. for this find! This entry was posted in Miscellaneous and tagged keychains, pylones, scooter, vespa by Tracy. Bookmark the permalink.